Do you have the most suitable energy contract for your organisation? 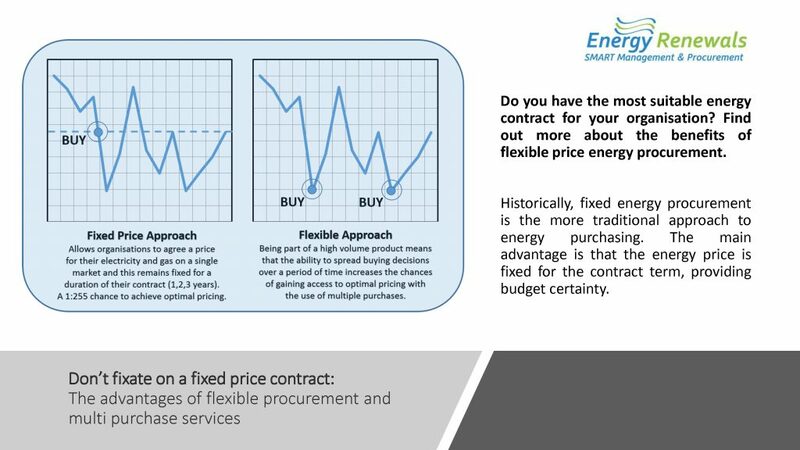 Find out more about the benefits of flexible price energy procurement. Is flexible procurement an option for my organisation? 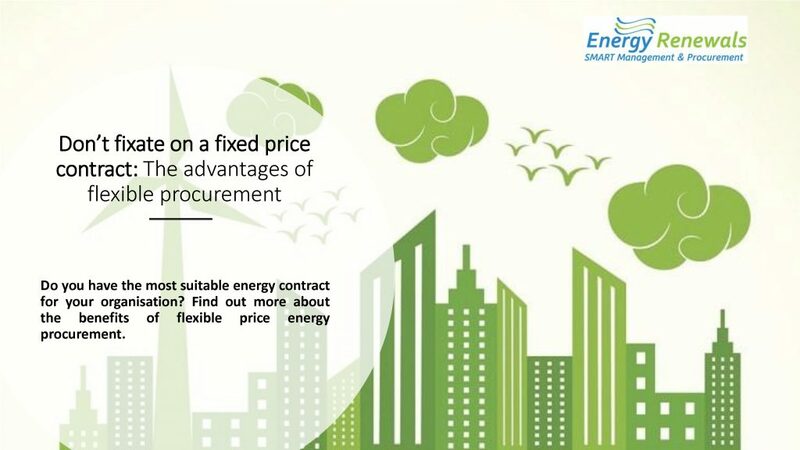 Flexible procurement is available to organisations using over 7 million kWh of energy. Organisations using less than 7 million kWh can join flexible collective products. These are offered by larger energy brokers and buying groups and allow smaller organisations to combine their consumption so it is large enough to access the benefits of the flexible approaches. The benefits of flexible procurement – Flexible procurement is an alternative way to purchase energy that allows organisations to take advantage of the ups and downs of the wholesale market. It involves tracking the wholesale market and purchasing smaller chunks of energy in line with a defined strategy throughout the length of a contract. The aim is to buy during price dips and avoid purchasing during price spikes.